Jodi G. Daniel: Health Care/Digital Health & Health Information Technology Lawyer: Washington, D.C.
Jodi Daniel is a partner in Crowell & Moring's Health Care Group and a director at C&M International (CMI), an international policy and regulatory affairs consulting firm affiliated with Crowell & Moring. She leads the firm's Digital Health Practice and provides strategic, legal, and policy advice to all types of health care and technology clients navigating the dynamic regulatory environment related to technology in the health care sector to help them achieve their business goals. Prior to joining Crowell & Moring, Jodi was the founding director of the Office of Policy in the Office of the National Coordinator for Health Information Technology (ONC), U.S. Department of Health and Human Services (HHS) for a decade after serving in the Office of the General Counsel (OGC) at HHS for five years. At HHS, Jodi helped spearhead important changes in health information privacy and health information technology to improve health care for consumers nationwide. She was also one of the key drafters of the original Health Insurance Portability and Accountability Act (HIPAA) Privacy Rules and Enforcement Rules and developed the Nationwide Privacy and Security Framework for Electronic Exchange of Health Information. As former director at ONC, she led the agency’s prominent federal advisory committees to build consensus on health IT standards and policy and established national health IT policy in areas including privacy, security, consumer e-health, health IT safety and oversight, and connecting health care payment and health IT. Jodi established ONC’s regulatory capacity and led the development of health IT standards and certification regulations. She worked across many federal agencies to develop the Federal Health IT Strategic Plan and coordinate policy, including with the Centers for Medicare and Medicaid Services (CMS) on the “meaningful use” of electronic health records, with Food and Drug Administration (FDA) on the safety of health IT, with the Drug Enforcement Agency (DEA) on legalizing electronic prescribing of controlled substances, with the Federal Trade Commission (FTC) on competition and health IT, with the Substance Abuse Mental Health Services Administration (SAMHSA) on integrating behavioral health and physical health, and with the White House Office of National Drug Control Policy (ONDCP) regarding opioid abuse. She also developed the Health Information Security and Privacy Collaboration, working with 42 state and territorial governments to address variation in privacy laws and challenges presented by electronic health information exchange through multi-state collaboration. Jodi formed the State Alliance for e-Health in collaboration with the National Governors’ Association, to promote e-Health, including electronic prescribing and multi-state licensure for telemedicine. She also represented the U.S. Government in presentations and engagements with foreign governments. As the first senior counsel for health information technology at HHS, Jodi developed the foundational legal strategies and coordinated all legal advice regarding health IT for HHS, founded and chaired the health information technology practice group within OGC, and worked closely with CMS in the development of the e-prescribing regulations and the Stark and anti-kickback rules regarding e-prescribing and electronic health records. Jodi began her career at a large insurance company advising employers on managed care and group health benefits. 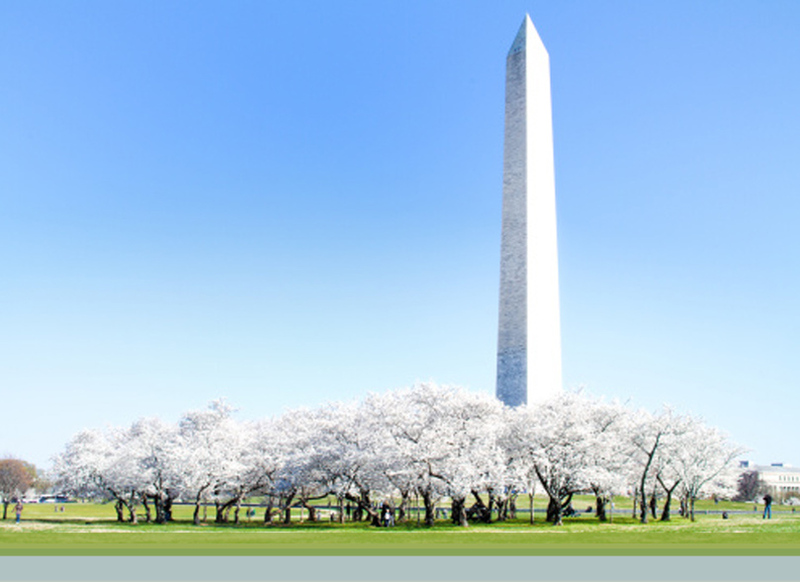 "Demystifying the Government Role in IoT Regulation," ABA’s 4th Annual IoT National Institute, Washington, D.C. (March 27, 2019). Panelist: Jodi G. Daniel. "A Solutions Approach to Data Privacy and Ethics," 2019 Health Datapalooza, Washington, DC (March 27, 2019). Moderator: Jodi G. Daniel. "Digital Health as Disrupter," ACC-NYC, New York, NY (March 14, 2019). Panelists: Brian McGovern, Jodi G. Daniel, and Alexis L. Gilman. "How Dealmaking in the Health Care Industry is Evolving," Dealmakers Breakfast Series, New York, NY (September 27, 2018). Host: Paul J. Pollock, Panelist: Jodi G. Daniel. "Getting to Yes: Creating a Playbook for Innovation in Your Health System," AHLA Annual Meeting, Chicago, IL (June 24, 2018). Panelist: Jodi G. Daniel. "Blockchain, Health, and Privacy," 2018 Health Datapalooza, Washington, D.C. (April 26, 2018). Moderator: Jodi G. Daniel. "Meeting the Challenges of Digital Medicine," HIMSS18, Las Vegas, NV (March 6, 2018). Presenter: Jodi G. Daniel. "Creative Solutions to Common Problems," HIMSS/SHIEC Interoperability & HIE Symposium: Facilitating Person-Centered Interoperable HIE To Manage Complex Populations, Las Vegas, NV (March 5, 2018). Presenter: Jodi G. Daniel. "Clinical, Regulatory, and Technical Considerations and Best Practices for PGHD," Becker’s Hospital Review Webinar (February 21, 2018). Presenter: Jodi G. Daniel. "Regulatory and Legal Challenges for AI in Healthcare," AI in Healthcare Summit, Boston, MA (January 18, 2018). Presenter: Jodi G. Daniel. "Legal Protections for Cyber Information Sharing: Strengths and Weaknesses," MDISS Fall Congress 2017, Arlington, VA (October 31, 2017). Presenter: Jodi G. Daniel. "Healthcare Regulation Meets Blockchain," Distributed: Health 2017, Nashville, TN (September 25, 2017). Presenter: Jodi G. Daniel. "When 21st Century Innovations Meet a 20th Century Legal Framework: Issue Spotting for the Healthcare Lawyer," AHLA Annual Meeting 2017, San Francisco, CA (June 27, 2017). Speaker: Jodi G. Daniel. "Privacy Concerns in Emerging Technologies," American Bar Association (May 25, 2017). Speaker: Jodi G. Daniel. "Information Blocking—A Myth or a Menace?" The American Health Lawyers Association (May 8, 2017). Speaker: Jodi G. Daniel. "BLOCKCHAIN: Healthcare Applications, Legal Challenges and Moving Beyond the Hype Cycle," Blue Plan Legal Department Cooperative 2017 National Teleconference Series (May 3, 2017). Speaker: Jodi G. Daniel. "Health Care Policy and Digital Health Under the Trump Administration," University of Houston Law Center, Houston, TX (March 3, 2017). Presenter: Jodi G. Daniel. "Review of the 21st Century Cures Act," WEDI Webinar (March 1, 2017). Presenter: Jodi G. Daniel. "Evolving HIPAA Issues: Cloud, Mobile Apps, Access, and More," Webinar (January 31, 2017). Presenters: Elliot Golding and Jodi G. Daniel. "Trumpcare: A Boon or Bust to Digital Health Innovation?" W2O Group’s 3rd Annual Digital Health VIP Luncheon, San Francisco, CA (January 9, 2017). Panelist: Jodi G. Daniel. "#DigitalHealthUnplugged: How a Trump Administration Will Affect Digital Health," Digital Health Summit @ CES, Las Vegas, NV (January 7, 2017). Speaker: Jodi G. Daniel. "Cross-Border Opportunities for Commerce, Public Health, and Research in Mobile Health and Connected Care," Canada-US Connected Health Workshop, Cross-Border Health Foundation, Washington, DC Moderator/Speaker: Jodi G. Daniel. "The Impact of Privacy on Medical Devices in a Connected World," AdvaMed 2016, Minneapolis, MN (October 19, 2016). Presenter: Jodi G. Daniel. "How Blockchain Will Affect HIPAA," Distributed: Health, Nashville, TN (October 3, 2016). Presenter: Jodi G. Daniel. "Health IT Policy from the Inside Out - What's Driving Health Policy in an Era of Engagement, Exchange & Innovation?" Long Term Post Acute Care and HIT Summit, Reston, VA (June 28, 2016). Presenter: Jodi G. Daniel. "System Interoperability" and 'The Need to Know' vs. Data Security," 2016 ASCP Forum, Baltimore, MD (April 12, 2016). Presenter: Jodi G. Daniel. "Fireside Chat with Stephen Lieber, President/CEO, HIMSS," mHealth Summit 2015, National Harbor, MD (November 11, 2015). Panelist: Jodi G. Daniel. "Emerging Tech-Enabled Solutions," California Society for Health Care Attorneys Fall Seminar, San Francisco, CA (November 6, 2015). Presenter: Jodi G. Daniel. "National Policy Perspectives: Incorporating Accessibility and Usability into HIT and Electronic Long-Term Services and Supports (eLTSS) Systems and Initiatives," Accessibility and Usability in Heatlh Information Technology Conference, Washington, D.C. (September 17, 2015). Panelist: Jodi G. Daniel. "Personalized Medicine: When Will We Get There? What's the Path Forward?" Health Datapalooza Conference, Maryland (June 1, 2015). Moderator: Jodi G. Daniel. "Understanding Why & How to Engage Consumers with Health IT," Healthcare Information and Management Systems Society Event (April 15, 2015). Presenter: Jodi G. Daniel. "CMS Meaningful Use Stage 3 and ONC 2015 Edition Certification Criteria Changes: The Discussion Continues," Healthcare Information and Management Systems Society Event (April 15, 2015). Presenter: Jodi G. Daniel. "Safety & Quality: Care Transformation and Health IT Safety Plan and Safety Center Update," Healthcare Information and Management Systems Society Event (April 15, 2015). Presenter: Jodi G. Daniel. "Creating a Viable National Medical Device Postmarket Surveillance System," The Future of Medical Device Safety and Innovation, Brookings Institute, Washington, D.C. (February 23, 2015). Panelist: Jodi G. Daniel. "Stimulating Innovation in U.S. Healthcare” – The View from the Top," mHealth Summit (December 9, 2014). Panelist: Jodi G. Daniel. "Government's Role in Regulating Health IT: A Look at Regulatory and Legislative Language," College of Healthcare Information Management Executives, Ann Arbor, MI (June 18, 2014). Panelist: Jodi G. Daniel. "Federal Technology Policy and Standards for Aging Populations," Technology and Older Adults Forum, Center for Technology and Aging, Oakland, CA (June 17-19, 2014). Presenter: Jodi G. Daniel. "Proposed Risk-Based Regulatory Framework and Strategy for Health Information Technology," FDASIA Health IT Report Public Meeting, Gaithersburg, Maryland (May 13-15, 2014). Keynote Speaker and Moderator: Jodi G. Daniel. "Advancements in Healthcare Technology," Federal Trade Commission’s Examining Health Care Competition Workshop (March 20, 2014). Panelist: Jodi G. Daniel. "Health IT Regulation and the FDASIA Report," Healthcare Information and Management Systems Society Event (February 25, 2014). Presenter: Jodi G. Daniel. ONC Town Hall, Washington, D.C. (February 24, 2014). Panelist: Jodi G. Daniel. "Ignite Talk: Governance and Policy Considerations," Igniting an Interoperable Health Care System, Health Care Innovation Day Conference, Washington, D.C. (February 6, 2014). Presenter: Jodi G. Daniel. "Early Input on a Federal Framework to Promote Safety & Innovation in Health IT," Health 2.0 Conference, San Francisco, CA (October 9, 2012). Presenter: Jodi G. Daniel. "Town Hall Meeting with the ONC Brain Trust," Health 2.0 Conference, San Francisco, CA (October 8, 2012). Presenter: Jodi G. Daniel. "Health Law 2.0," Health 2.0 Annual Fall Conference, San Francisco, CA (September 24, 2011). Presenter: Jodi G. Daniel. "Federal Inter-Agency Collaboration," State Alliance for e-Health, National Governors Association, National Harbor, MD (September 2009). Presenter: Jodi G. Daniel. "International Challenges in eHealth and Health IT: Managing Toward a Common Goal," Official Event of the European Union Presidency, Paris, France (2008). Presenter: Jodi G. Daniel, co-leader of the event’s Privacy and Security track. "Personal Health Records: Increasing Health Care Value Through Enhanced Patient Engagement," National Health Policy Conference, AcademyHealth, Washington, D.C. (February 2008). Presenter: Jodi G. Daniel. "Connecting Americans to their Health Care: Improving Access and Protecting Privacy," Advancing America’s Future in a Networked World, Markle Foundation, Washington, D.C. (December 2006). Presenter: Jodi G. Daniel. "Policy Update from the Office of the National Coordinator for Health INformation Technology," Health IT Summit (September 26, 2006). Presenter: Jodi G. Daniel. Testified at Senate Hearing: "Lessons Learned? Assuring Healthy Initiatives in Health Information Technology, Senate Committee on Homeland Security and Governmental Affairs," Federal Financial Management Subcommittee (2006). National Conference on the HIPAA Privacy Rule, Brooklyn, NY (March 1, 2003). Presenter: Jodi G. Daniel. "Assessment of U.S. Hospital Compliance With Regulations for Patients’ Requests for Medical Records," JAMA Network Open, Vol. 1, No. 6 (October 5, 2018). Co-Author: Jodi G. Daniel. "The 21st Century Cures Act And Electronic Health Records One Year Later: Will Patients See The Benefits?" Journal of the American Medical Informatics Association (July 30, 2018). Authors: Carolyn T. Lye, Howard P. Forman, Jodi G. Daniel, and Harlan M. Krumholz. "Transforming the Patient-Provider Relationship: A Comprehensive Approach to Patient Access and Patient-Generated Health Data," Crowell & Moring's Health Law Blog (June 7, 2018). Author: Jodi G. Daniel. "The Freight Train Gathers Steam: An Update on the Federal Response to the Opioid Crisis," Crowell & Moring's Health Law Blog (April 26, 2018). Authors: Ashley N. Southerland, Jodi G. Daniel, Traci Vitek and Payal Nanavati. "Liberating Data to Transform Value-Based Care: MyHealthEData, Blue Button 2.0, and Price Transparency," Crowell & Moring's Health Law Blog (March 16, 2018). Authors: Jodi G. Daniel, Ashley N. Southerland and Payal Nanavati. "Blockchain – Progress and Promise," Crowell & Moring's Regulatory Forecast 2018 (February 2018). Contributors: Maarten Stassen, Jeffrey Snyder, Laura Foggan, Matthew Welling, Jenny Cieplak, Jodi Daniel, and Mitchell Rabinowitz. "Azar Has The Tools Needed To Be An Excellent HHS Secretary," The Hill (November 29, 2017). Author: Jodi G. Daniel. "Report of $729 Million In Improper Electronic Health Record Incentive Payments From 2011 to 2014 Poses Risks For Meaningful Use Program Participants," Government Contracting Law Report Authors: Jodi G. Daniel, Laura M. Kidd Cordova, and Harsh P. Parikh. "Congress Remains Focused on Electronic Health Records," Crowell & Moring's Health Law Blog (July 28, 2017). Author: Jodi G. Daniel. "Health Care – An Evolving But Still Uncertain Environment," Crowell & Moring's Regulatory Forecast 2017 (May 2017). "OCR Takes Action Against a Wireless Health Services Provider for the First Time," eHealth, Privacy & Security Interest Group Newsletter (May 1, 2017). Author: Jodi G. Daniel. "Bringing Innovative Technology to Healthcare…What about HIPAA? " Crowell & Moring's Health Law Blog (March 22, 2017). Author: Jodi G. Daniel. "Connected Health is Here! Are You Ready?" AHLA Connections (January 2017). Authors: Jodi G. Daniel and Roma Sharma. "Privacy & Cybersecurity Weekly News Update – Week of Oct 8," Data Law Insights (October 18, 2016). Authors: Charles Austin, Elliot Golding and Jodi G. Daniel. "Highlights Of HHS Privacy Guidelines For Cloud Providers," Law360 (October 17, 2016). Authors: Jodi G. Daniel, Elliot Golding, and Stephanie D. Willis. "Blocking Access to Health Information May Violate HIPAA," Crowell & Moring's Data Law Insights (October 6, 2016). Authors: Jodi G. Daniel, Elliot Golding and Stephanie Willis. "ONC Releases New Guidance on Electronic Health Record Vendor Contracting," Crowell & Moring's Health Law Blog (October 6, 2016). Authors: Jodi G. Daniel and Ashley N. Southerland. "Blockchain Technology Holds Promise for Health IT," Bloomberg BNA's Health Care IT Report (September 26, 2016). Authors: Jodi G. Daniel and Ashley N. Southerland. Addressing Health Privacy and Security Gaps in ONC Report (August 11, 2016). Authors: Jodi G. Daniel, Elliot Golding, and Jennifer Williams. "FDA Finalizes Guidance on Low Risk General Wellness Products Crowell Morings Health Law Blog," Crowell & Moring's Health Law Blog (August 9, 2016). Authors: Jodi G. Daniel and Jennifer Williams. "Critical Next Steps: Addressing Health Privacy and Security Gaps Identified by ONC," Bloomberg BNA Health Care Policy Report (August 8, 2016). Co-Authors: Jodi G. Daniel, Elliot Golding, and Jennifer Williams. "Digital Health, Big Data, Cybersecurity, and Privacy – Four Key Takeaways from C&M's Digital Health Strategies Conference," Crowell & Moring's Health Law Blog (July 27, 2016). Authors: Marisa E. Adelson and Jodi G. Daniel. "New Payment Models and Data: Changes and Themes to Watch," Crowell & Moring's Health Law Blog (July 12, 2016). Authors: Jodi G. Daniel and Roma Sharma. "6 Trends in the Health Care Economy's Internet of Things," Crowell & Moring's Health Law Blog (July 6, 2016). Authors: Jodi G. Daniel and Jennifer Williams. "In Case You Missed It . . . Five Key Takeaways in Developing Digital Health Platforms," Crowell & Moring's Health Law Blog (June 30, 2016). Authors: Jodi G. Daniel and Marisa E. Adelson. "The Rise of the One-Stop Shop? ONC Outlines Four Mechanisms to Help Providers Compare Certified Health IT Products," Crowell & Moring's Health Law Blog (April 25, 2016). Authors: Jodi G. Daniel and Ashley N. Southerland. "NTIA Seeking Comments on IoT," Crowell and Moring's Data Law Insights (April 22, 2016). Author: Jodi Daniel. "Help Shape Federal Policy on the Internet of Things," Crowell & Moring's Health Law Blog (April 20, 2016). Author: Jodi G. Daniel. "Tell HHS How to Measure Interoperability," Crowell & Moring's Health Law Blog (April 8, 2016). Authors: Jodi G. Daniel and Jennifer Williams. "FTC's New Online Quiz: Which Federal Laws Apply to Your App?" Crowell and Moring's Data Law Insights (April 7, 2016). Authors: Jodi G. Daniel, Elliot Golding, and Danielle Rowan. "Medicaid Matching Funds Available to Connect Providers Eligible for Meaningful Use with other Providers," Crowell & Moring's Health Law Blog (March 18, 2016). Author: Jodi G. Daniel. "President Obama Addresses Precision Medicine, Health IT, Data Access, and Security ," Crowell & Moring's Health Law Blog (March 10, 2016). Author: Jodi G. Daniel. "The ONC Proposes the Direct Review of Certified Health IT in Oversight Rule," Crowell & Moring's Health Law Blog (March 2, 2016). Authors: Jodi G. Daniel and Stephanie D. Willis. "Making a Patient's Right of Access Effective for Digital Health," Bloomberg BNA Insights, Vol. 8, No. 4 (January 25, 2016). Jodi Daniel. "Health Care - In Search of Best Practices," Crowell & Moring's Regulatory Forecast 2016 (January 2016). Contributors: A. Xavier Baker, Kevin B. Kroeker, Barbara H. Ryland, and Jodi G. Daniel. "HHS-OCR Announces First Settlement Involving Medical Device Security Issues," Crowell & Moring's Data Law Insights (December 1, 2015). Authors: Jodi G. Daniel, Elliot Golding, and Stephanie D. Willis. "Health Information Blocking Leads to New Requirements and May Lead to Enforcement Actions," Crowell & Moring's Health Law Blog (November 16, 2015). Authors: Jodi G. Daniel and Roma Sharma. "Blocking of Health Information Undermines Health System Interoperability and Delivery Reform," Health IT Buzz Blog (April 10, 2015). Authors: Jodi G. Daniel and Karen B. DeSalvo. "Promoting Competition to Achieve Our Health IT and Health Care Goals," Health IT Buzz Blog (October 7, 2014). Authors: Jodi G. Daniel and Karson Mahler. "New Health IT Policy and Standards Committees' Workgroups Help ONC Achieve Goals," Health IT Buzz Blog (August 4, 2014). Author: Jodi G. Daniel. "Patients Play a Vital Role in Improving the Quality of Information in their Medical Records," Health IT Buzz Blog (June 24, 2014). Authors: Jodi G. Daniel and Erin Siminerio. "Person @ Center: Envisioning the Health IT-Enabled Future of Health from the Person's Perspective," Health IT Buzz Blog (January 10, 2014). Author: Jodi G. Daniel. "Continuing ONC's Non-Regulatory Approach to Governance of the Nationwide Health Information Network," Health IT Buzz Blog (December 19, 2013). Author: Jodi G. Daniel. "Using Health IT to Integrate Behavioral Health and Primary Care Information," Health IT Buzz Blog (September 16, 2013). Author: Jodi G. Daniel. "The Path Toward a Risk-Based Regulatory Framework for Health IT," Health IT Buzz Blog (September 5, 2013). Author: Jodi G. Daniel. "E-Prescribing Adoption & Use Increased Substantially Following the Start of a Federal Incentive Program," Health Affairs (July 2013). Authors: Seth B. Joseph, Max J. Sow, Michael F. Furukawa, Steven Posnack, and Jodi G. Daniel. "ONC's Thoughts on Patents, Health IT, and Meaningful Use," Health IT Buzz Blog (May 4, 2013). Author: Jodi G. Daniel. "EHRs and Clinical Documentation to Optimize Patient Care," Journal of the American Medical Informatics Association (March 7, 2013). Authors: Jodi G. Daniel, Jacob Reider, and Steven L. Posnack. "National Health Information Exchange Governance Forum Announced," Health IT Buzz Blog (March 1, 2013). Author: Jodi G. Daniel. "A National Action Plan to Support Consumer Engagement Via E-Health," Health Affairs (February 2013). Authors: Lygeia Ricciardi, Farzad Mostashari, Judy Murphy, Jodi G. Daniel, and Erin P. Siminerio. "Comment Period Now Open: Help Set the Stage for Meaningful Use Stage 3," Health IT Buzz Blog (November 27, 2012). Author: Jodi G. Daniel. "Changing Policies Changes Practices: Patient Access and Input to Their Health Record," Health IT Buzz Blog (July 25, 2012). Author: Jodi G. Daniel. "Addressing Liability and Clinical Decision Support: A Federal Government Role," Saint Louis University Journal of Health Law & Policy (2012). Author: Jodi G. Daniel. "ONC Seeks Public Comment on RFI on Governance of the Nationwide Health Information Network," Health IT Buzz Blog (May 11, 2012). Author: Jodi G. Daniel. At 20, Is HIPAA Hitting Its Stride, or Is It Over The Hill? Are Fitbits Fitting into Hospitals’ Care Coordination Plans? Will Medicare’s Physician Payment Overhaul Drive More Docs to Hospitals? Does Washington Understand Implementing Its Health IT Policies?